Thomas ROUTH was born in 1801 in Aysgarth, Gayle. Thomas married Catharine or Katharine BELL, daughter of Thomas BELL and Elizabeth [Betty] PARKIN, on 5 Jun 1830 in Aysgarth. Catharine was born in 1803 in Hawes and was christened on 14 Nov 1803 in Hawes, Yorkshire, England. John ROUTH was christened on 2 Jun 1831 in Hawes, Yorkshire, England. John married Margaret. Margaret was born about 1832 in Ingleton. Jane ROUTH was christened on 14 Jul 1833 in Hawes, Yorkshire, England. Jane married Thomas HURST. Thomas was born in 1831 in Lancs. William ROUTH was christened on 18 Jan 1835 in Hawes, Yorkshire, England. William married Jane DURHAM, daughter of Marmaduke DURHAM and Margaret MOORE, on 2 Dec 1865 in Hawes Parish Church, Askrigg. Jane was born on 1 Oct 1845 in Thorton Rust. James ROUTH was christened on 30 Jan 1837 in Hawes, Yorkshire, England. Thomas ROUTH was christened on 1 Apr 1838 in Hawes, Yorkshire, England. Elizabeth (Betty) ROUTH was christened on 30 Jun 1839 in Hawes, Yorkshire, England. Oswald ROUTH was christened on 4 Aug 1841 in Hawes, Yorkshire, England. James ROUTH was christened on 22 Nov 1842 in Hawes, Yorkshire, England. Christopher ROUTH was christened on 23 Oct 1844 in Hawes, Yorkshire, England. James ROUTH was christened on 31 Aug 1846 in Hawes, Yorkshire, England. The parents of Thomas ROUTH are not yet known. 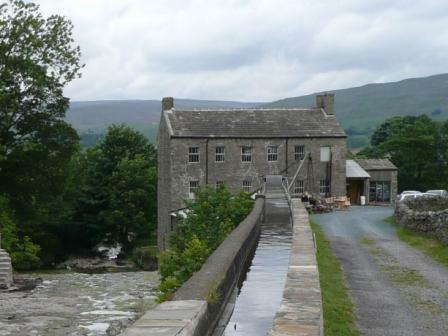 There maybe some link with Thomas and Oswald ROUTH who founded Gayle Mill in 1784/5. Oswald ROUTH baptised 30 May 1741 in Hawes. He married Isabel FORSTER (1739 - 23 May 1820). The had at least four children who died young, namely: Alice (1765 - 1776), and unnamed infant (died 1772), George (1773 - 1781) and Richard (1778 - 1780). Oswald died 17 March 1816 and is buried in Gayle Chapel. 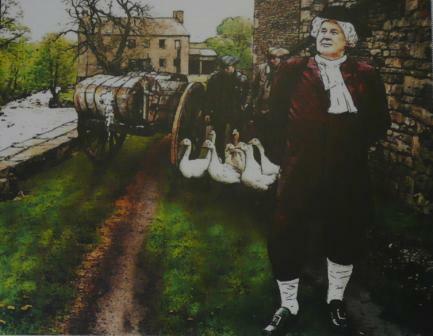 Thomas ROUTH baptised 2 April 1743 in Hawes. Thomas may have married Agnes ARMISTEAD on 27 September 1772 in Hawes and had at least two children : Oswald ROUTH (1783 - 1 Sept 1848); and Elizabeth ROUTH born 1786.